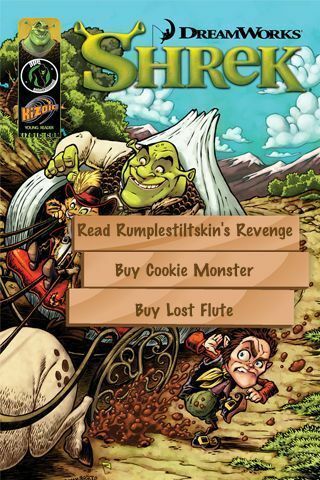 Rumplestiltskins Revenge acts as a prequal to the fourth installment in the Shrek franchise. The story tracks Shrek as Rumplestiltskin tries to get revenge on him for ruining his schemes. These plans for revenge are thwarted by Shrek, although without his knowledge! The art seems a little rough, especially to those who may be used to the movies soft curves. I never tried the other two comics available – I’m a little leary of paying for them.